Integrated Pro can provide testing services to meet many different needs in mechanical engineering or related fields. 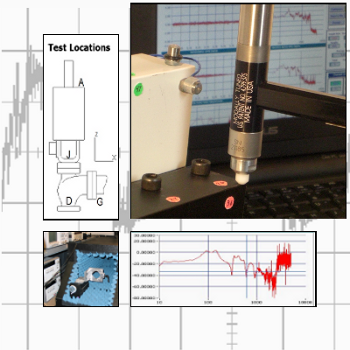 We can help you design your test, configure the instrumentation, conduct the test and analyze the data. We are familiar with a broad array of sensors, signal conditioning and testing procedures. We maintain an inventory of multi-channel data acquisition systems and sensors for custom testing or prototyping including NI CompactDAQ and NI CompactRIO. Integrated Pro is a National Instruments Certified Alliance Partner and uses NI LabVIEW™, NI CompactDAQ and NI CompactRIO hardware in our testing.